Taco bout the perfect lunch! Recently, I’ve been trying to be healthier & I have found a solution to cook more instead of baking more. It really is discouraging seeing cup after cup of sugar being added to a baked good, so there are positives and negatives to seeing what goes into what you bake haha. 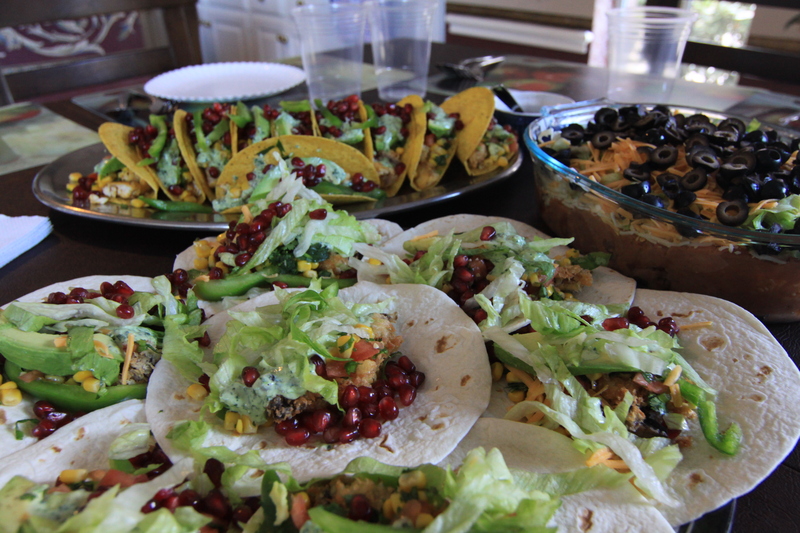 Anyways, a recent visit at a local taco restaurant inspired me to make this scrumptious lunch. 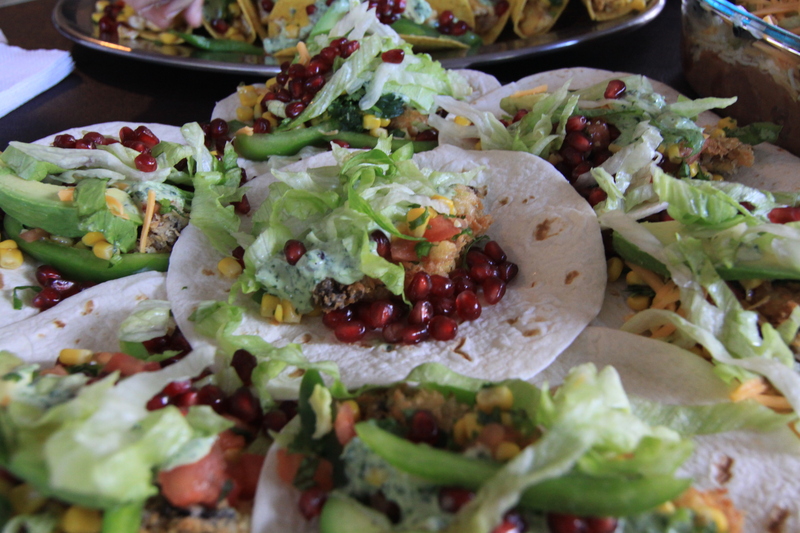 The taco was pretty simple consisting of either salmon or a fried portabello, along with a cilantro lime sauce, corn salsa, various greens, cheese, a slice of avocado, and a handful of pomegranate seeds for a ruby splash of color to top it off. 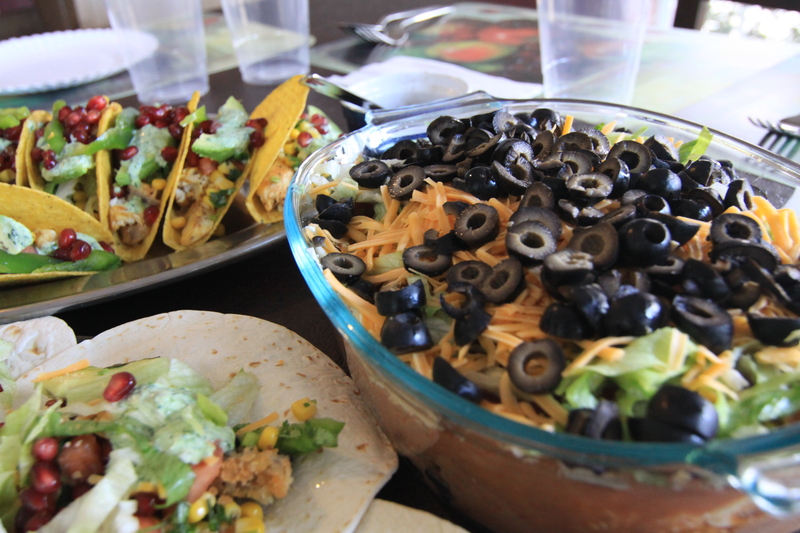 I couldn’t resist but add an addicting side dish of seven layer dip on the side. I would have never come up with this combination in a million years. Great presentation and recipe! I always tell myself, at least it’s pure sugar going into it, not sugar and a load of extra crap!!! OMG a mexican dinner by your hands. What i wonder is “how do you do it?” come around to my office somday and we can discuss.